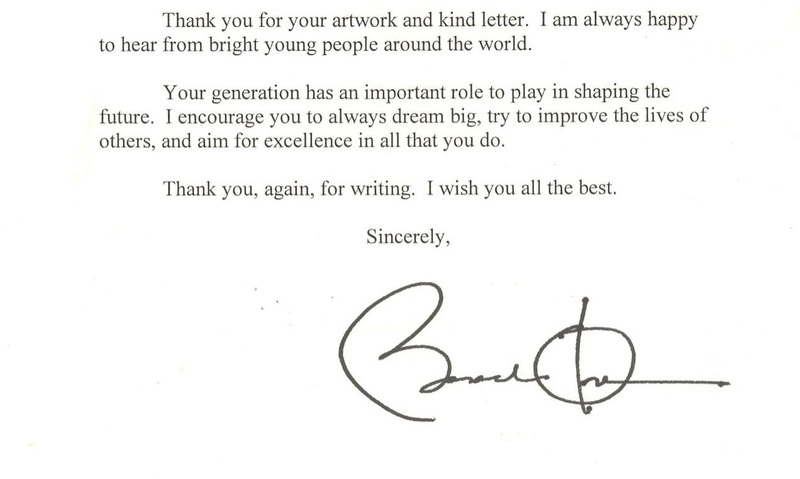 After drawing a caricature in Art at school, one of our pupils was delighted when she found out the image she had drawn made it all the way to the USA and was shown to President Barack Obama. The caricature drawing and a letter had been taken by her father on a business trip to the USA. During the visit, it happened to be shown to a collegaue in the USA, who said he would like to show it to someone. It was a couple of weeks later, when she received a letter from President Barack Obama and a signed photograph. Part of her letter is shown below and the signed photograph she received. Well done!